The third annual Community Manager Appreciation Day, originally started by Jeremiah Owyang, will be celebrated on January 23. 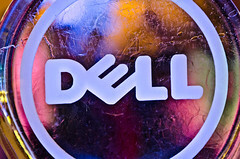 In honor of this event, Dell will be hosting an hour long Google+ Hangout on their Google+ profile, starting at 1 PM ET (UTC/GMT -5). During the hour, there will be a set of three live panels, organized by Connie Bensen, a Senior Community Strategist at Dell. I will be featured on the first panel, “Chief Company Pinata & Cat Herder: Beyond a Day in the Life of a Community Manager,” alongside Amy Muller, Co-Founder and Chief Community Offer at Get Satisfaction and Mark Harrison, Community Manager for Google Earth and Google SketchUp. Following this session, others will speak, including Bill Johnston, Director of Global Online Community at Dell, who will be featured on the final panel with Owyang. If you would like to watch and participate in the hangout, be sure to tune in to Dell’s Google+ page on January 23 at 1 PM ET (UTC/GMT -5). If you are new to hangouts, check out this guide from Google. There will be a chat room in the sidebar and, on Twitter, you can use the hashtag #CMAD12. If you want to ask questions, you can send them to Connie on Twitter or Google+. If you plan to come, you can RSVP on Facebook. It should be a laid back, fun experience and I hope that you’ll join us.